Kolsby Gordon’s highly-qualified team includes board-certified medical doctors, a nurse, lawyers with advanced engineering degrees, and lawyers with advanced advocacy training. "One of the smartest people I’ve ever met in my life. Dr. Robin’s technical expertise is an indispensable asset." Dr. F Phillip Robin is a partner at Kolsby Gordon, where he has represented victims of medical malpractice for over 40 years. Dr. Robin is also a licensed physician with a deep understanding of the world of medicine. As colleagues have noted, he is “a doctor that can think like a lawyer,” and it is this breadth of background experience that helps him secure multimillion-dollar verdicts and settlements for his clients. Dr. Robin has litigated cases involving every medical specialty; however, his main focus has been on obstetrics, surgery and cancer misdiagnosis. His degree and previous work in the field of engineering also enables him to handle complicated personal injury cases involving manufacturing machinery, medical devices, motor vehicles and construction equipment. One of the most motivating aspects of law is the compassion and empathy that develops for people who have faced horrific injuries. Many of Dr. Robin’s cases involve complex medical malpractice, and each client comes with a deeply moving story. In one such memorable case, Dr. Robin represented a man who remained positive through a lifetime of hardship. Born with severe gastrointestinal problems and orphaned during his teens, he spent his youth living at the hospital where he received care. Intelligent and driven, he went on to complete his degree and begin a career at the Federal Aviation Administration. Later, he was admitted back into the hospital for minor procedure and given a sedative that unintentionally stopped his breathing. After much delay, the hospital staff noticed his unconscious state and resuscitated him, but extensive brain damage had already taken place. Though fully cognitive, this man was now no longer able speak, walk or eat properly. He was entirely dependent. In this hard-fought case, Dr. Robin and his team secured a settlement that was instrumental in providing that man a comfortable home and aides that cared for his injuries, and in his life thereafter. Prior to practicing law, Dr. Robin was a physician. After obtaining his degree in medicine he went on to complete postgraduate training at J.F. Kennedy Hospital in New Jersey. Dr. Robin went on to treat patients at his own private family practice for seven years. 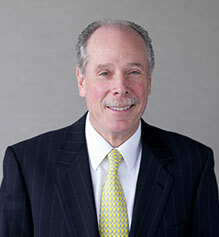 He was board certified by the American Board of Legal Medicine in 1982 and is currently licensed to practice medicine in Pennsylvania, New Jersey and Colorado. In 1975, he joined the team at Kolsby Gordon and began practicing medicine and law part-time. Six years later, he transitioned entirely to law, a move that allowed him to use the expertise he had developed as an engineer and medical practitioner to help people on a daily basis. This prior experience is often a necessity for the complex medical malpractice, auto, trucking and construction accidents and other injuries that Dr. Robin litigates. With a deep understanding of the issues at hand, he assesses medical information thoroughly, getting to the heart of a case and taking it straight to the courtroom. Dr. Robin is actively committed to the education of new and young lawyers. His assistance with the Moot Court preparation at Temple University’s Beasley School of Law helped both teams win first and second place, respectively, in a national competition. He was also the recipient of a teaching award for the masters degree program in trial advocacy where he taught medicine to lawyers. Dr. Robin is also a member of two national engineering honor societies—Eta Kappa Nu and Tau Beta Pi. D.O., Philadelphia College of Osteopathic Medicine, 1978.